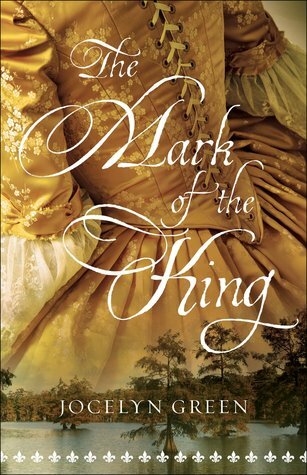 The Mark of the King (2017) by Jocelyn Green is a novel set in 1720s Louisiana when it was a fledgling colony. This novel comes in all forms including eBook, and is roughly 416 pages in length. I give this novel 5 STARS. It is a clean Christian Historical novel. This novel is gut wrenching, charming, impressive, exceptional, and poignant. My heart was ripped out twice…I sobbed like a baby! There are some seriously difficult, heavily emotional moments in this book. But, there are also some beautiful, hopeful, and joyful moments that made me smile big time. This book is AMAZING. A story that will invade my dreams, and stick with me LONG after I’ve finished the book. So well written and SO well researched!!! This is my first novel by this author, but it will not be my last. I highly, highly, highly recommend this book. Make sure you have a big box of tissue next to you as you read. The main characters are exceptionally well written. The emotions illustrated by each character never felt faked or scripted. They each reacted so life-like…so like a man and so like a woman. The struggles and difficulty and pain that each one dealt with felt very real. And, their reliance on their faith was genuine. God is in this book. Faith is here, too. But, it’s not over the top. It’s a very realistic portrayal of two faithful people desperately trying their best to be strong in God even when circumstances proved extremely difficult. I appreciate a non-preachy, non-judgmental, faith-filled novel. This is a good book all way around!